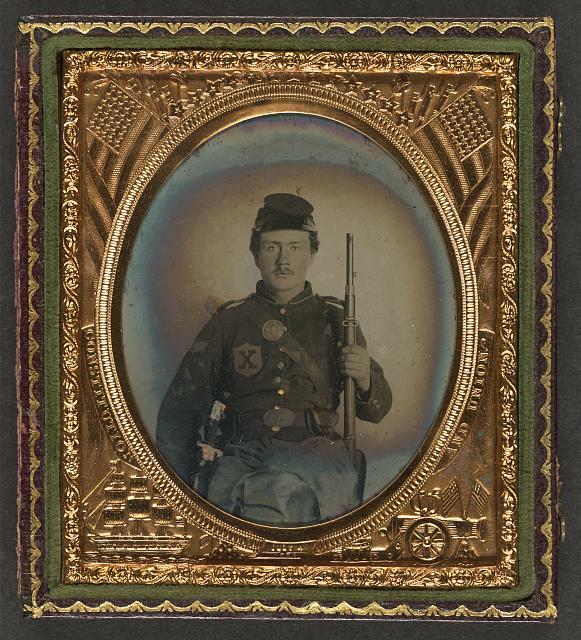 Image is a photo of an original tin type (photographic method introduced in 1856, in popular production until roughly 1867), hat appears to be U.S. Civil War - Union, "X" patch on right front breast region, single row of buttons, rectangular belt buckle, sword is straight-bladed, heavy "D" guard, does not appear to have the same guard as a NCO sword, though. 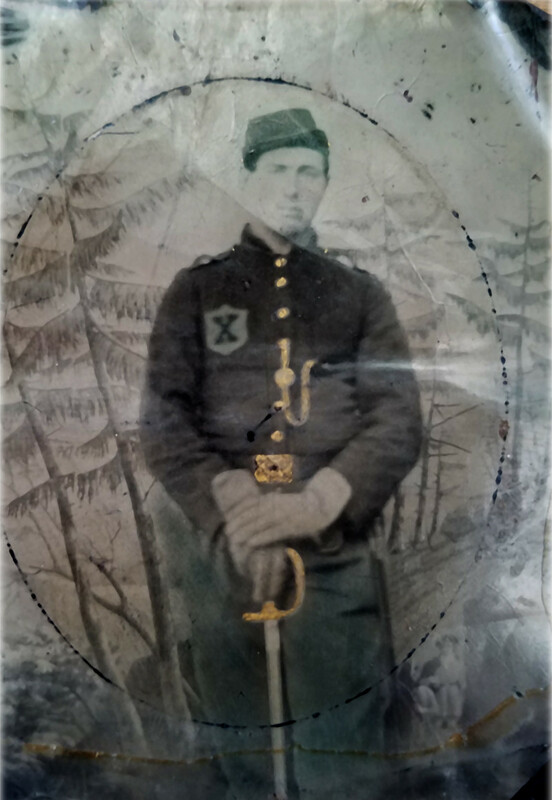 Can anyone identify / confirm that this image is Civil War? Any other details? 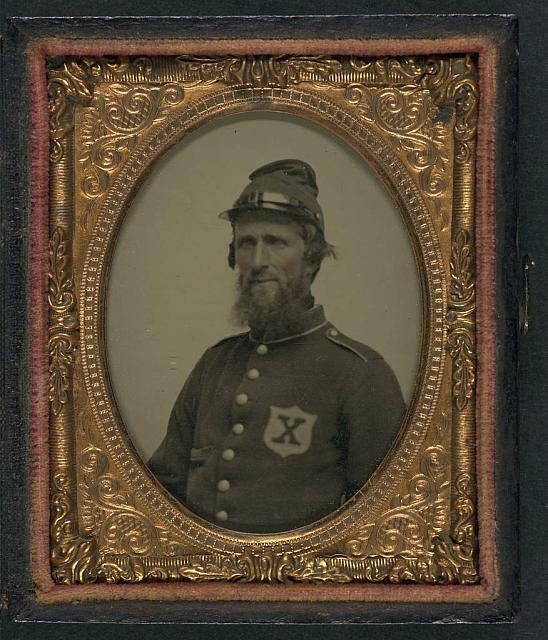 Looks like your soldier may be a member of the 56th Regiment New York Volunteers, also known as the 10th Legion (hence the patch). Not the answer you're looking for? Browse other questions tagged military identification american-civil-war uniform or ask your own question.